I do agree that there is a puzzle regarding diets that are mainly composed of very slowly digested carbs. The discussion about LCHF diets has been mainly about the diets suggested for Western people with T2 diabetes, or those tending that way. They are told that carbs are good and fat is bad. A lot of doctors seem to be saying that this advice is wrong, and that those with T2 diabetes are observed to do better on the high fat alternative. I think possibly the confusion here is that the carbs such people will eat (bread, potatoes etc) are not complex enough and are still digested rapidly to glucose. Incidentally, saturated fat can be derived from peanuts or coconuts. One think I am not clear about, is whether all carbs do digest into sugars, even if they aren't digested until they reach the colon - where all sorts of wonderful chemistry can be performed by the gut bacteria. Otherwise, eating even the best carbs would seem to be be nutritionally equivalent to sipping a glucose solution very slowly - which doesn't sound very healthy! Furthermore, the fact that saturated fat has been demonised has obviously pushed people into consuming 'low fat' alternatives, that are frequently sweetened to make them more palatable! "Resistant starches" are digested by the bacteria in the large intestine which produce butyrate which is absorbed by the cells of large intestine. Some foods naturally contain some resistant starches are a advocated as a way to keep the bacteria in your gut "healthy". But you have to make an effort to get substantial amounts of it in your diet if you want to avoid starches that produce glucose. One source of resistant starches is parboiled rice. The discussion about LCHF diets has been mainly about the diets suggested for Western people with T2 diabetes, or those tending that way. They are told that carbs are good and fat is bad. A lot of doctors seem to be saying that this advice is wrong, and that those with T2 diabetes are observed to do better on the high fat alternative. I think possibly the confusion here is that the carbs such people will eat (bread, potatoes etc) are not complex enough and are still digested rapidly to glucose. The low fat diet of complex carbs from sources high in fiber I am referring to has been used to reverse diabetes. Dr. Neal Barnard’s Program for Reversing Diabetes outlines a completely new dietary approach to preventing, controlling, and even reversing diabetes. The program is based on a series of research studies Dr. Barnard and his colleagues have conducted over the years, the latest funded by the National Institutes of Health. Published in the August 2006 issue of Diabetes Care, that study found Dr. Barnard’s program to be three times more effective than the American Diabetes Association dietary guidelines at controlling blood sugar. This talk is about how you can drastically cut risk of age related dementia by adjusting your diet. It is sometimes claimed that new research shows that saturated fats (animal fats) are not bad after all. This is true if eating saturated fats is compared to eating refined carbohydrates - saturated fats are not detrimental in that comparison. But that is just one aspect to the study and it is a bit misleading to only report on that aspect because the same study found there are heath benefits from eliminating saturated fats if they are replaced with unsaturated fats (vegetable oils) or complex carbohydrates. When trimming saturated fat from your diet, subbing in whole-grain foods helps your heart, but turning to white bread doesn't, a new study shows. If you substitute high-quality carbohydrates like fruits, vegetables and whole grains, then lives are saved. It's that simple. when the men and women replaced 5 percent of their saturated fat calories with healthier polyunsaturated fats, such as those found in nuts, the risk for coronary heart disease dropped by 25 percent. This is what the scandal is about. The scandal is also about the fact that many people would be in this mess if they hadn't followed medical advice to reduce the proportion of their diet that was saturated fat. Here is a doctor (Jay Wortman, MD, ) that developed diabetes. He cured himself by eliminating carbohydrates from his diet. He says (4:07), "As soon as I stopped eating carbohydrates my blood sugar normalized, I felt better, my symptoms all went away, and I started losing about a pound of weight a day". He says it never occurred to doctors to treat diabetes by eliminating carbohydrates. But he only tried it on himself as a stop gap measure after he developed the disease and he wanted to take some time to decide which medicine to take. As I wrote above, I am not trying to contradict what is said about low carb diets. I think diets that produce too much insulin are a problem for diabetes and weight gain. The solution is to change diets to reduce insulin production. That can be accomplished by eliminating the offending carbohydrates either with a low carb diet, i.e. eliminating all carbohydrates, or by replacing the offending carbohydrates with low glycemic index carbohydrates and reducing total calories consumed by eating less fat, ie a low fat diet. And I suspect different people would respond differently to the two types of diets. As I said previously, a low carb diet did not help me lose weight. As to which is healthier, again that might vary from person to person, but I think Dr. Neal Barnard's arguments in the video I posted above are compelling - people are not biologically adapted to being carnivores, we only started eating meat when we developed stone tools which was too recent for our metabolism to have adapted. And the correlation between countries with low obesity and low fat diet is also compelling. The problems I had with a low carb diet was that I gained weight, I experienced other unpleasant side effects, and I didn't have energy to do the things I liked to do. They say after a time you will adapt to it, but I did not adapt. At 3:40 Dr Barnard says that the traditional diabetes treatment was to avoid eating any form of carbohydrates. At 4:40 he explains why he thinks a low fat diet is healthy: the correlation between low incidence of diabetes in countries where the people eat a low fat diet, and the fact that too much fat in muscle cells (intramyocellular lipids) interferes with insulin's ability to get into the cell. At 11:04 he explains why he thinks we are not adapted to eating meat. There is a glaring contradiction between what Dr Barnard (from the US) is saying: diabetes treatment was to avoid carbs and it didn't stop the disease, and what Dr Wortman (above, from Canada) said: that it was a new idea for him to try avoiding carbs and it cured his own diabetes. A friend of mine from Eastern Europe says that when she was young in the 1950's this was standard treatment for diabetes - avoid all carbohydrates as far as practical. Goodness knows how this is resolved - someone should get them together on one video! The thing is there are a variety of traditional diets that range from mostly seals to mostly rice. 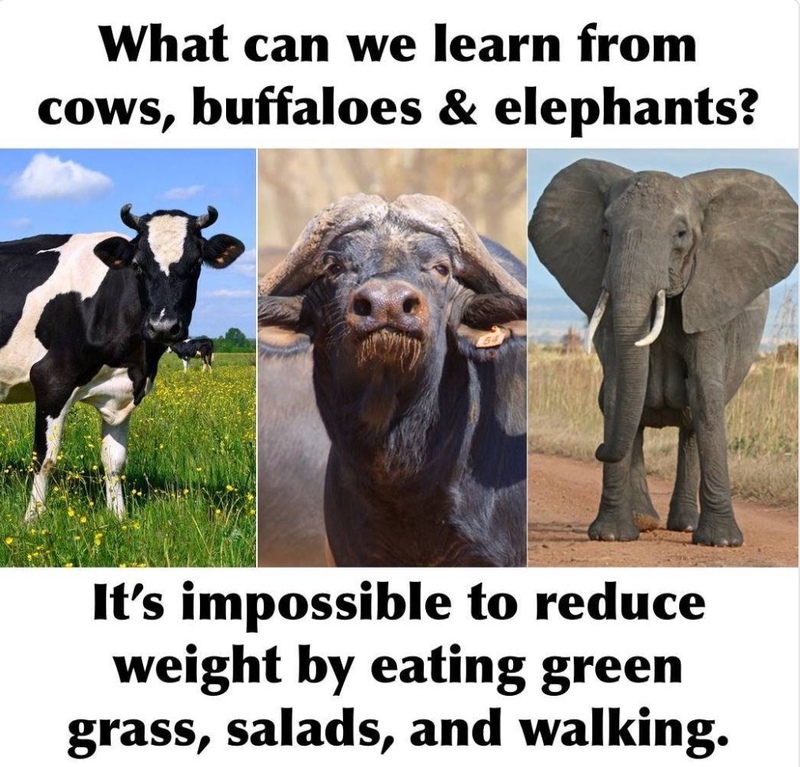 They all seem to do a lot better than those on a Western diet, and get problems as they adopt a Western diet. This might suggest that there is something else wrong with our diet. That study is remarkable because the change in diet didn't seem to make much difference at all! I only became interested in all this as another side effect of statins. I was found to have raised blood sugar (not quite diabetes) while taking statins, but before the muscle cramps started. I panicked and avoided anything sweet. Statins do indeed cause a rise in blood sugar - another recognised side effect! The problem went away, and now I am off statins, it has not returned, although I am less careful to exclude sugar than I was at the time. I particularly liked Dr Jay Wartman's account because he discovered how to cure himself by accident - i.e. it makes the phenomenon more striking and it reminded me of what happened to me when I discovered by accident that statins were causing my severe muscle cramps! I came to statins with a very positive approach - I thought getting a prescription that reduced the risk of a heart attack was a fantastic idea! I know it was said that they could cause 'muscle pains', but when I first got the cramps I didn't think mere 'muscle pains' could describe what was happening to me! The doctor didn't suggest a link either, because I had been on statins for 3 years, and side effects usually start sooner. However, by extraordinary good luck, I thought that taking something that 'might cause muscle pains', might exacerbate whatever was wrong with me - so I stopped the statins for a while. As the cramps subsided, I thought whatever was wrong had fixed itself, so I resumed taking statins. That cycle happened 3 times before the penny dropped - the only thing that was wrong with me was that I was taking statins! Obviously I have read a lot since and have met a number of people who encountered similar problems from statins. The vegan diet (∼10% of energy from fat, 15% protein, and 75% carbohydrate) consisted of vegetables, fruits, grains, and legumes. Participants were asked to avoid animal products and added fats and to favor low–glycemic index foods, such as beans and green vegetables. Portion sizes, energy intake, and carbohydrate intake were unrestricted. The ADA diet (15–20% protein, <7% saturated fat, 60–70% carbohydrate and monounsaturated fats, and cholesterol ≤200 mg/day) was individualized, based on body weight and plasma lipid concentrations (6). ADA group participants with a BMI >25 kg/m2 (all but three ADA group participants) were prescribed energy intake deficits of 500–1,000 kcal. No meals were provided. To meet the vitamin B12 needs of the vegan group while maintaining the same intervention in the ADA group, all participants were provided a vitamin B12 supplement (100 μg) to be taken every other day. "Eat food*, mostly plants, not too much." *by "food" he means things your grandparents would have recognised as food, i.e. the stuff generally around the outside of the supermarket, not down the aisles. I have moved this thread to the "Why science is wrong about almost everything" section. I think part of the reason for this, is that such studies are fantastically hard to do for any length of time. The problem is that unless you randomly assign a diet each subject, and then force them to stick to it, the results tell you very little. Say you collect a lot of people who eat muesli for breakfast, and discover that they are healthier than average. That might just be that (on average) muesli eaters are health freaks and run five miles a day as well! I am a vegetarian and have been for the last five years and it was the best decision I've ever made. I have IBS and suffered symptoms of it daily before going vegetarian, and now I rarely have an 'episode'. Foods high in saturated fats and meat make my IBS worse, while carbs(the good kind) are perfectly fine on my stomach. I'm not trying to "convert" anyone here to vegetarianism or trying to preach, I just wanted to add my own experience to the debate.